With vehicle details so we can help ensure this part fits your vehicle - we aim to respond within 2 working hours. 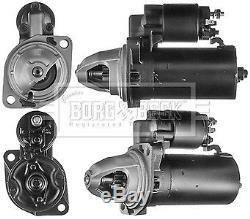 VOLVO P1800 2.0 Starter Motor 72 to 73 B&B. BMW 7 (E23) 728 i. VOLVO 140 (142, 144) 2.0. VOLVO 140 (142, 144) 2.0 S. VOLVO 140 Estate (145) 2.0 S. VOLVO 164 (164) 2.9. VOLVO 164 (164) 2.9 E. VOLVO 240 (P242, P244) 2.0. VOLVO 240 (P242, P244) 2.1. Model year to: 02/1979; Transmission ID: M45R. Model year to: 08/1982; Transmission ID: M46. Model year to: 07/1979; Transmission ID: M45R. VOLVO 240 (P242, P244) 2.1 Turbo. Model year from: 09/1982; Model year to: 06/1984; Transmission ID: M46. VOLVO 240 (P242, P244) 2.3. Transmission ID: 4M+OD, A, M46. Model year to: 06/1985; Transmission ID: M46. Model year to: 07/1982; Transmission ID: 4M+OD. Model year from: 03/1979; Model year to: 07/1979; Transmission ID: M45R. VOLVO 240 Kombi (P245) 2.0. Model year from: 07/1981; Transmission ID: 4. Model year to: 06/1987; Transmission ID: M46, M47. Model year from: 07/1981; Model year to: 08/1982; Transmission ID: 4. VOLVO 240 Kombi (P245) 2.1. VOLVO 240 Kombi (P245) 2.1 Turbo. Model year from: 07/1981; Model year to: 06/1985; Transmission ID: 4M+OD, M46. VOLVO 240 Kombi (P245) 2.3. Model year to: 06/1984; Transmission ID: AV70/71, M46. VOLVO 340-360 (343, 345) 2.0. Model year to: 06/1984; Transmission ID: M47. Model year to: 08/1982; Transmission ID: M45R. Model year from: 09/1982; Model year to: 06/1984; Transmission ID: M47. VOLVO 340-360 Saloon (344) 2.0. Model year to: 07/1989; Transmission ID: CVT, M45R, M47. VOLVO 740 (744) 2.0. Model year to: 06/1987; Transmission ID: M46. Model year to: 06/1987; Transmission ID: M47. Model year to: 06/1987; Transmission ID: AW7. VOLVO 740 (744) 2.3. Model year to: 06/1987; Transmission ID: AW7, M47. Model year to: 06/1987; Transmission ID: M46, ZF22. Model year from: 07/1985; Model year to: 06/1987; Transmission ID: AW7, M47. Model year to: 07/1987; Transmission ID: AW7, M47. VOLVO 740 Kombi (745) 2.3. VOLVO 740 Kombi (745) 2.3 Turbo. VOLVO 760 (704, 764) 2.3. VOLVO 760 (704, 764) 2.3 Turbo (704). Model year to: 06/1985; Transmission ID: M46, ZF22, AV. Model year from: 07/1983; Transmission ID: M46, ZF22, AV. VOLVO 760 Kombi (704, 765) 2.3 Turbo. Model year to: 12/1989; Transmission ID: M46, ZF22, AV. VOLVO 940 (944) 2.0. VOLVO 940 (944) 2.0 Turbo. VOLVO 940 (944) 2.3. VOLVO 940 (944) 2.3 Turbo. VOLVO 940 Mk II (944) 2.3. VOLVO 940 Mk II (944) 2.3 ti. VOLVO 940 Mk II (944) 2.3 Turbo. Model year from: 03/1996; Model year to: 12/1997. VOLVO 940 Mk II Estate (945) 2.3. Model year from: 02/1995; Model year to: 07/1998. VOLVO 940 Mk II Estate (945) 2.3 ti. VOLVO P 1800 (P18) 2.0 ES. The item "VOLVO P1800 2.0 Starter Motor 72 to 73 B&B Genuine Top Quality Replacement New" is in sale since Wednesday, February 28, 2018.